Home > money > BEST STRATEGY FOR DAY TRADING? BEST STRATEGY FOR DAY TRADING? 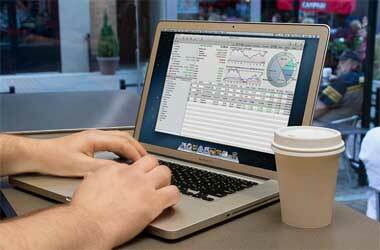 There are many day trading strategies for Forex, the stock market, commodities, and futures. Is there one “best” strategy? I don’t think anyone could prove such a thing objectively, but it is critical that you find the best one for YOU. I’ve taken many, many day trading courses over the years and studied with several day trading coaches, teachers and mentors. It took awhile to learn day trading, and I learned a lot from each of my teachers. But I couldn’t take and use any of their systems or strategies exactly as they presented them and make money. That’s not to say that any of them were a waste of time or money. In fact, every one of them was a valuable learning experience and I’m grateful for each and every course I’ve taken. Still, I ultimately had to find my own way. For example, I learned “breakout” day trading strategy for trading the S&P eminis from a very famous trader (who I won’t name). Through that experience of spending weeks with him and trading his system, I discovered that I didn’t like breakout trading! That doesn’t mean that breakout trading is bad. It works great for him. It just doesn’t fit my personality. I prefer trading pullbacks. I’m comfortable with that. You won’t know until you actually try both approaches to trading, just like I had to do. So that experience was very valuable for me even though today I don’t use any of the actual trading strategies I learned from that teacher. It’s like Thomas Edison who said he didn’t waste time with his 1,000 failures in inventing the light bulb. Each one of those “failures” was a success in the sense that he eliminated another way NOT to invent the light bulb! Actually, I did finally come up with a way of trading “breakouts” that fits my personality. It allows me to keep my risk super small, increase the reward on the trade (it’s always good when you can make more money!) and gets me in before the traditional breakout day traders.